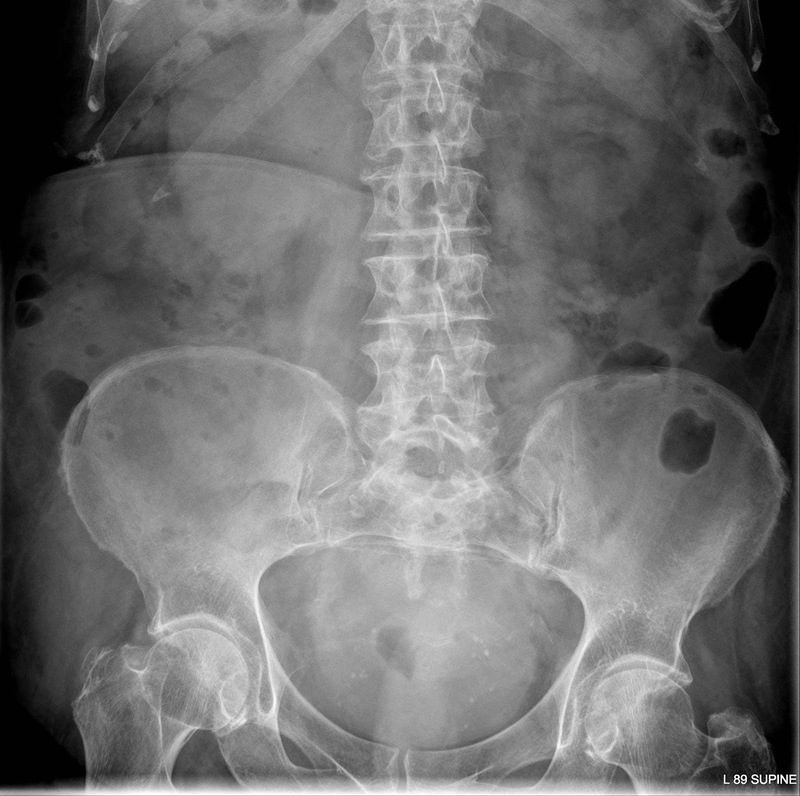 the xray doctor: xrayoftheweek 7: why is this person unwell? xrayoftheweek 7: why is this person unwell? 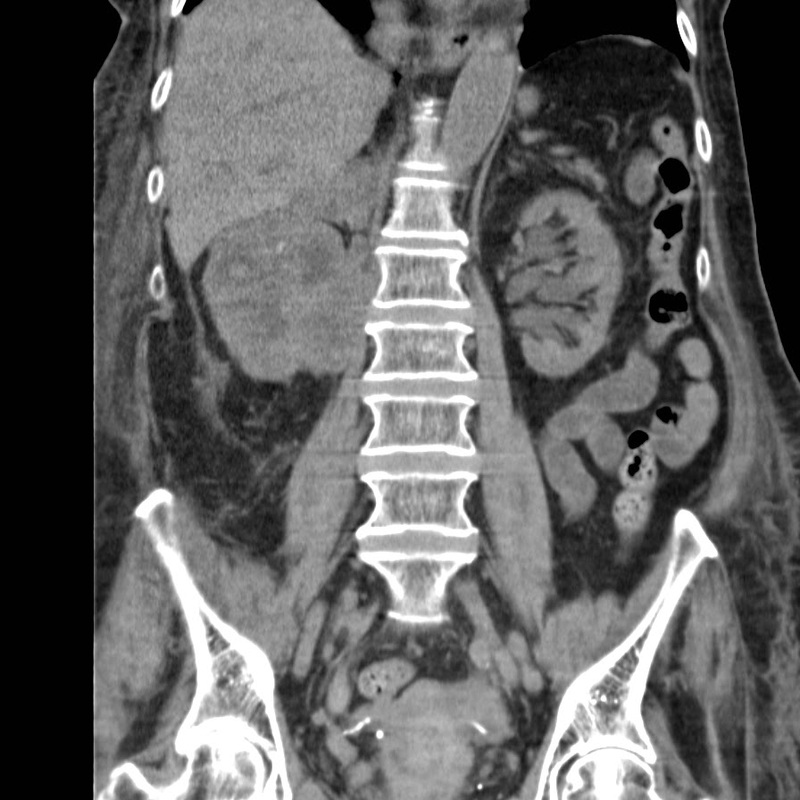 Another abdominal #xrayoftheweek: what abnormality can you see here? The main finding here is a soft tissue mass in the right paravertebral region, replacing the normal contour of the right kidney. On the left side, a normal renal shadow can be seen but on the right side it appears more dense, and the renal pelvis is not clearly seen. There is no calcification, no bone destruction and the bowel appears normal. The CT confirms a large mass arising from and almost replacing the right kidney. There is loss of the low density structures within the kidney, i.e. the fat and the fluid in the pelvis, accounting for the high density on the plain film. TIP: always check the renal and psoas shadows on abdominal xrays for signs of tumours and abscesses.